Egyptians built elaborate bathrooms inside pyramids. The year: 1500 BC or so. So says John C. Flood. 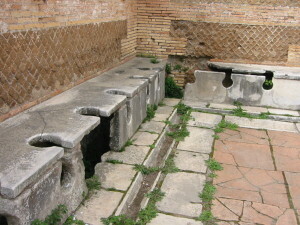 The ancient Romans had toilets. 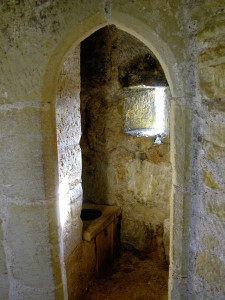 Wealthy people in the Middle Ages had toilets. 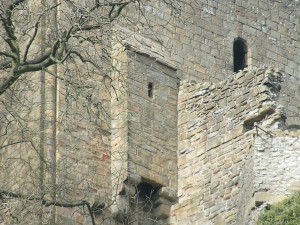 A garderobe interior (unidentified castle), shared from Flickr. The Queen had a toilet. 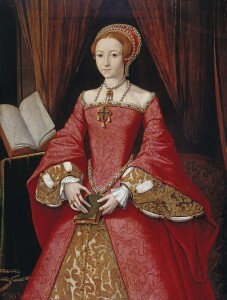 So did Queen Elizabeth I at Richmond Palace, circa 1600. Her flushable toilet was installed by her godson, inventor Sir John Harington. So did lots of other people. 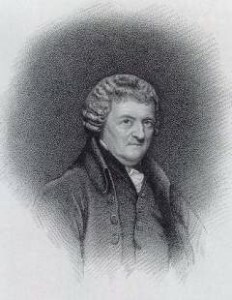 In 1775 Alexander Cummings, a watchmaker, developed the S-shaped pipe under the toilet basin to keep out the foul odours [sic]. 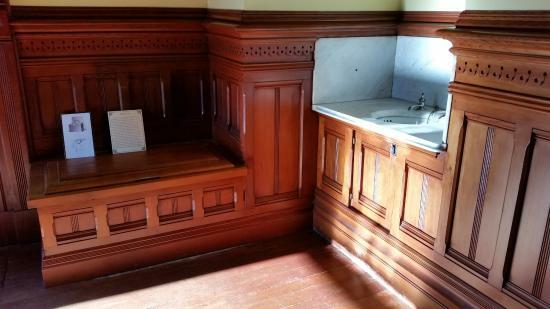 In 1829, The Tremont Hotel in Boston was the first of its kind to provide eight water closets for guest use. 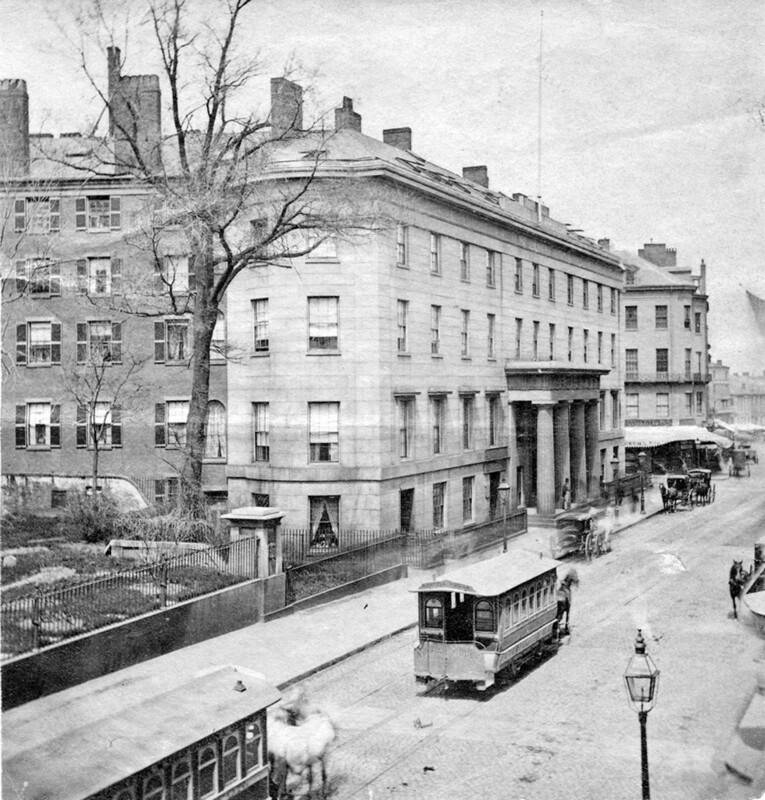 Tremont House at Tremont and Beacon Streets c 1860 to 1890. This fine hotel was the first recognized as providing indoor plumbing facilities. Image: Courtesy of the Bostonian Society. 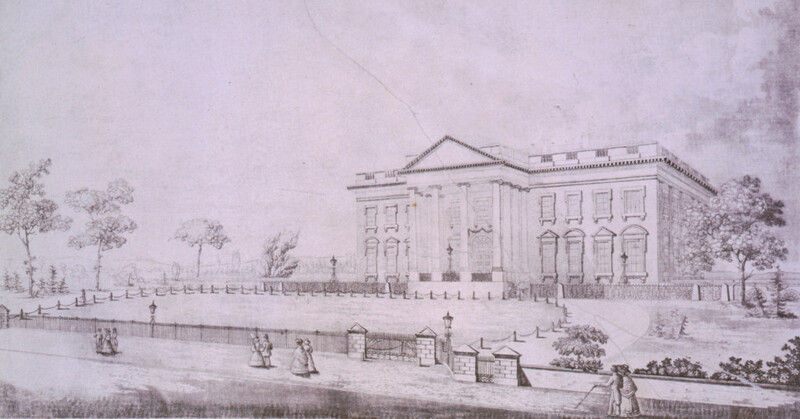 In 1833, the White House was plumbed (on the ground floor) with running water. 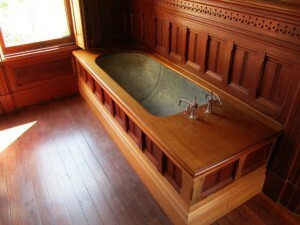 In the 1840‘s, the finest of American homes had indoor plumbing (including flushing toilets), running hot and cold water, and all the conveniences such as bathtubs. Note: the conjunction ‘and’ betwixt electricity and indoor plumbing implies that in 1920 the houses had to have both to qualify for that 1%. Feel free to read the document and let me know if you gather different information. Note: Prior to cities providing sewer systems, individual homes had septic tanks. 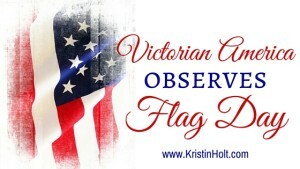 The Captain George Flavel House in Astoria, Oregon, is a fine example of a restored Victorian Queen Anne house, with a full bath upstairs and a half-bath on the main floor. 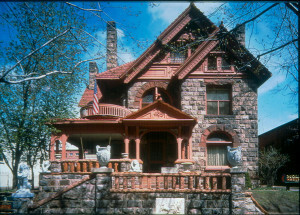 The Molly Brown House, built 1889 (Denver), “contained all the modern technology of the day including electricity, indoor plumbing, steam heat and telephone lines“. 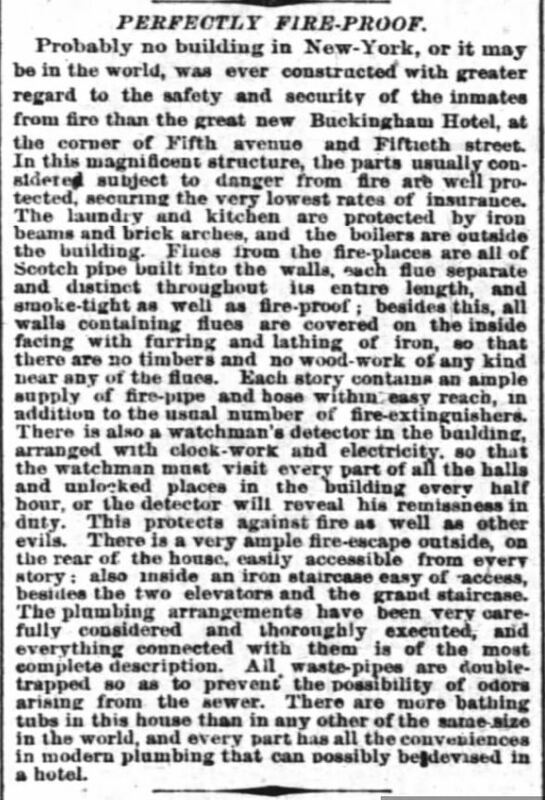 Near the end of the following article about a new hotel in New York City, see the references to proper plumbing techniques. In case this scanned image is difficult to read, I’ve transcribed the ‘paragraph’ I’d like you to see, below. Fireproof hotel has bathing tubs and pipes to waste-pipes to sewer. The New York Times of New York, New York, on May 30th, 1875. “Woman’s Sphere,” illustration from Harriette Merrick Hodge Plunkett, Women, Plumbers, and Doctors: Or, Household Sanitation, 1884. Shared from Barbara Penner, PlacesJournal.org. Notice the flushing cistern (high tank) above the toilets. 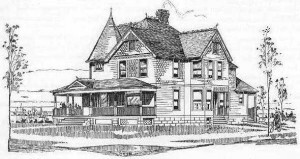 “Lessie’s House”, a Queen Anne Victorian contained within the book: Houses and Cottages, book no 10, designed by D.S. Hopkins, Architect of Grand Rapids, MI, 1896. 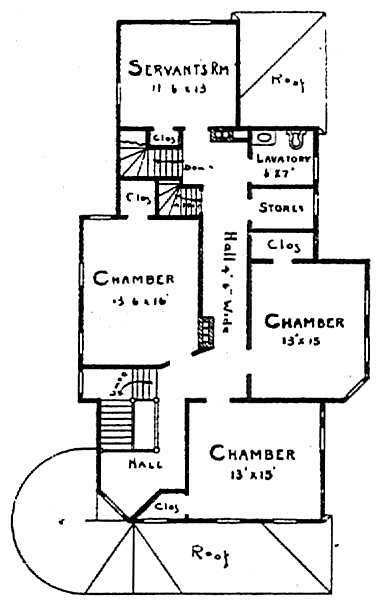 “Lessie’s House” floor plan, main level. Note the “Bath Rm.” (a full bath in today’s terminology) left-hand side. “Lessie’s House” floor plan, second story. Note the “lavatory” (half-bath in today’s vernacular) on the back right-hand corner of the house, overlooking the sloped roof below. 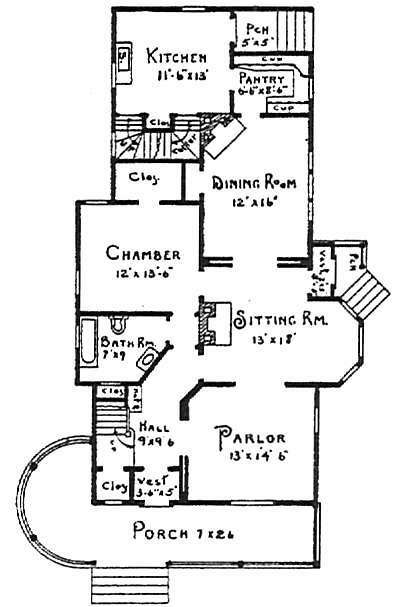 Tip: to my fellow writers— I used this floor plan extensively when writing Lessie’s story, particularly in the scenes where Richard Cannon shows his new wife the home he had built for her, and the scenes that occurred inside the house. I had the distinct pleasure of beta readers telling me they could easily “see” the house. No confusion in the author, no confusion in the reader. 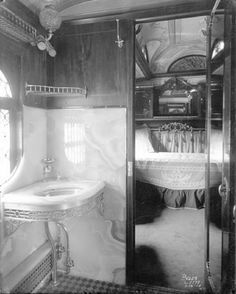 In Lessie’s twin’s book (JOSIE: BRIDE OF NEW MEXICO), I enjoyed writing luxury railway travel, with a private rail car equipped with not one private bathroom (for the family) but two (for the help). 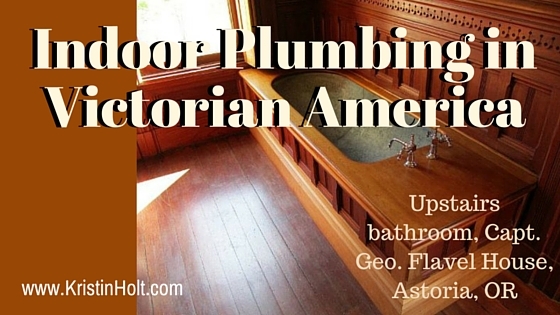 What are your thoughts about indoor plumbing in the Victorian Era? Any tidbits to add? Please scroll down to the space provided for feedback and responses. So, I understand that plumbing is at least possible anywhere given the right equipment, planning etc. In the Wyoming territory, would it have been possible for a farmer/rancher to install some simple indoor plumbing in his house? Simple plumbing (such as a flushing toilet and tub/shower, and/or kitchen sink) for a farmer or rancher in Wyoming Territory–absolutely. The question is, when? Wyoming Territory became the State of Wyoming in 1890. Septic tanks were in use from the 1860s. 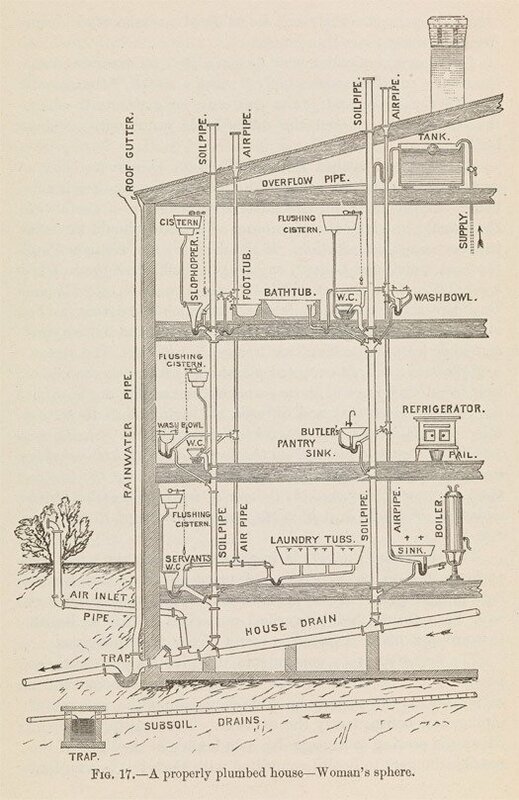 The nicer, larger, more refined homes in the late 19th century had indoor plumbing. On the flip side, many nice homes had an outhouse out back (see my related blog articles) well into the 20th century. For a farmer/rancher to install simple indoor plumbing, he’d need delivery (by rail or wagon) of parts, components, and the know-how. Thank you so much – your site is so incredible. I appreciate all your hard work compiling the information. You’re welcome, Jenny. 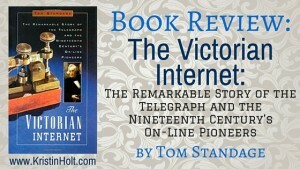 Glad to be of help in sharing my love of American West history!